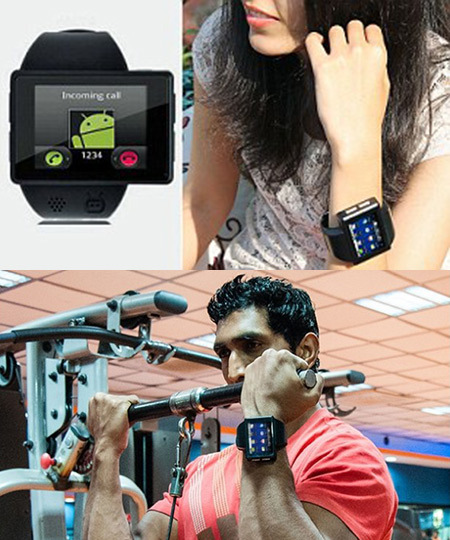 Designed by a group of college students from India, the $229 Androidly is a nifty smartphone watch, powered by a 416-MHz processor, 256MB of RAM, a 2″ display, 512MB of internal storage, micro SD expansion, Bluetooth, and Wi-Fi, all running Android 2.2. Continue reading for three videos and more information. A speaker, camera and microphone are built into the device and it can be plugged into a USB socket to be used as a storage device. It can also be used to charge the phone. Androidly is the brainchild of four students from India – software developer Ankit Pradhan, communications professional Pavneet Singh Puri and lawyer Apurva Sukant plus teenager Siddhant Vats.